University of Information Technology and Communications Convened Educational Symposium with Directorate-general of Electricity Providing of Al-Risafaa about the Electrical Power as a Service and Fees Collecting. The department of media and general relations in UOITC cooperating with Directorate-general of electricity providing of Al-Risafaa organized educational symposium about electricity service and fees collection. 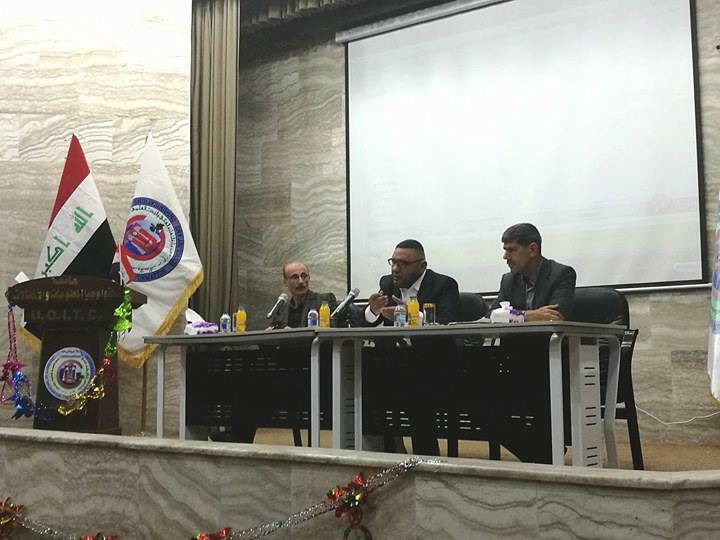 The seminar was attended by the advisor of the president of Baghdad provincial council for affairs of energy Mr. Ahmed Moussa, the Director of relations and media at the Directorate-general Mr. Ahmad Al-Halafi and the relations officer Mr. Abdul-Hussein Kadhim who discussed the project of partnership with the private sector and the contracts of (service and fees collection). The symposium included many points that began by explaining the point of problems and challenges that face the work of the Ministry of Electricity and financial allocations, and future plans for the strategy of the ministry in the providing of electric power. The second point included a detailed explanation for the subject of service and fees collection as well as the duties and tasks of the private sector in this area and reviewing some of the experiences in the areas where the service and fees collection project was implemented. The meeting also addressed the reasons that led the ministry to involve the private sector, which were foremost the elimination of abuses and the reluctance of many citizens in paying the electricity bill and increasing the random loads that cause damage in the electrical equipment, which reflected negatively on the increasing hours of electricity interrupting. In the third point of discussion, the speakers expressed the satisfaction of citizens whose areas have become part of the private sector participation and their full conviction about the success of this experiment and the ability of publishing it according to the result of the poll in one of these regions. 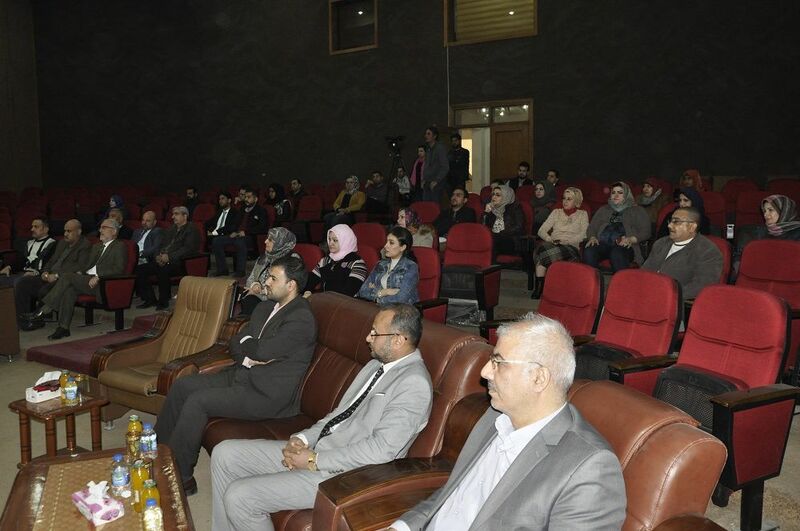 At the end of the symposium, lecturers listened to the interventions and questions of university lecturers and employees, which were mostly focused on the point of pricing of electricity bill and how to manage its collecting afraid of its increasing. It has been emphasized that the price of amperes is under the authority of the Ministry of Electricity and it is fixed out of private sector intervention.